Packed full of stunning pictures, detailed information and beautiful bird calls, NZ Birds Online is an online encyclopaedia of birds created in collaboration between Te Papa, DOC and OSNZ. We’re indebted to the photographers who’ve shared their images with us – and now the world! 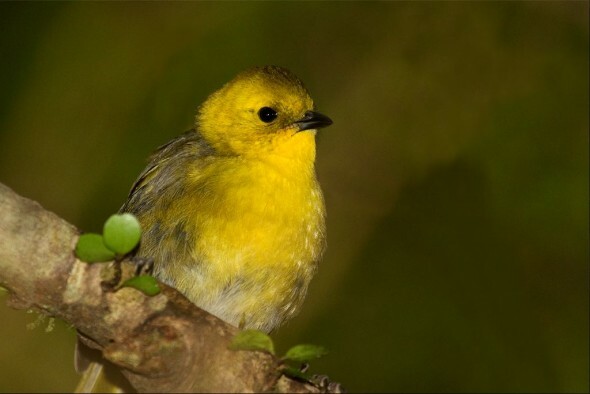 How do you hear about the NZ Birds Online project? I first heard about the NZ Birds Online project from Neil Robertson who is the Southland Regional Rep for OSNZ. He thought this would be a project where I could share my bird photographs. So I signed up to the initial base website and had fun posting images of the many birds I had collected. What images are you most proud of on NZ Birds Online? To be honest I would say all of them, as they have all been an achievement for me, however I think I am most proud of my spoonbill in flight as it was my first “significant” image and has led me to challenge myself. I am also proud of my kaki (black stilt) in flight as it was also my first sighting of this rare species and to capture it in incoming flight mode is something I have never achieved since, despite numerous attempts. And my most recent proud moment was finally seeing a mōhua (yellowhead) making several trips searching for one. This was a “miracle” as my gear malfunctioned right at the critical moment but the bird remained there while I spent what seemed like forever trying to rectify things and I got this one shot before it flitted away! What’s your favourite bird species to photograph? The rifleman and black-fronted tern, but probably the ones I enjoy the most are the New Zealand dotterel (southern sub-species). They are such “friendly” birds and to me are the “teddybears” of the bird world. They are inquisitive and play to my camera. They have given me my most successful images but capturing them has also given me some of my most frightening moments – getting caught in quicksand, king tides and storms! Do you have any tips for aspiring wildlife photographers? My greatest regret is that I only discovered this hobby three years ago and I had never had any previous outdoors experience and knowledge. So now I need to work quickly to achieve my dream as my age is against me. So my advice is – gain a broad outdoors experience and fitness and start out young. Then the bird photography world will be your oyster. Also, make the most of every bird sighting at that particular time. Opportunities often never repeat – birds breeding on braided rivers may suffer lost nests due to river changes or floods. 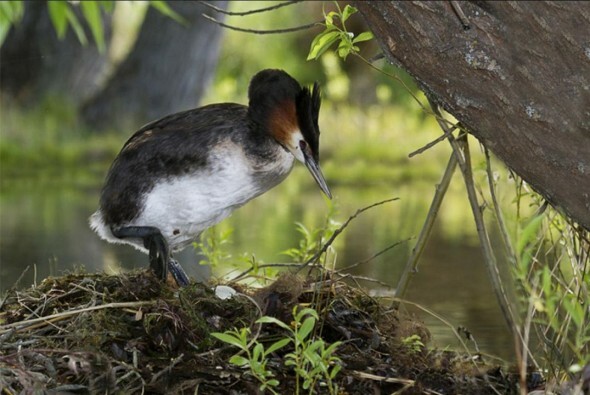 I recently discovered two grebe nests have been lost due to a lake level dropping. A nest that was being built just ten days ago is now too high above water level for the grebes to access. It was particularly sad to see four eggs sitting in that nest. I started with a Canon 40D with a Canon 100-400L f//5.6 lens. I now use that lens with a Canon 7D, plus also a 400mm f/5.6 lens. Thanks for taking part in our Meet the photographers series Glenda – and look after yourself when photographing dotterels! I am interested in using another of your images for my children’s environmental book ‘Wiremu Weka Treks the Alps’ : Australasian crested grebe either ‘family portrait or ‘grebe baby buggy. 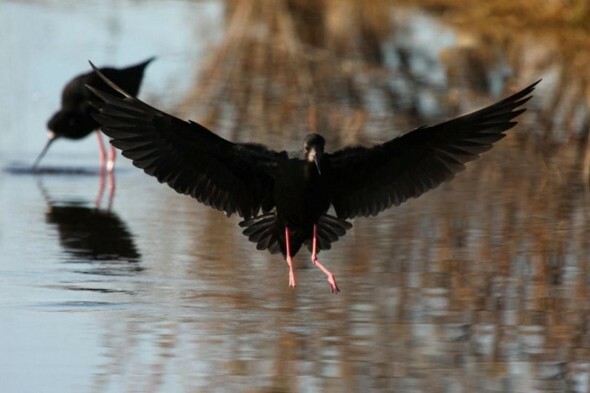 I am using a black stilt image from you purchased through my graphic designer Kate Adams. 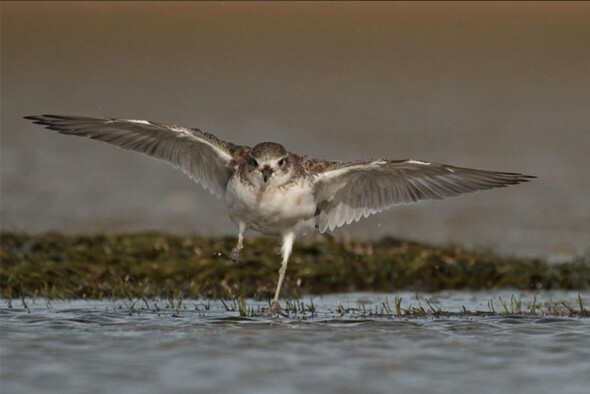 I am also interested in ‘wrybill on nest’. Wiremu weka travels from Greymouth across Arthur’s Pass to Christchurch, meeting the locals en route.These are three of them. I am fascinated by your beautiful pictures and I think children will be too. 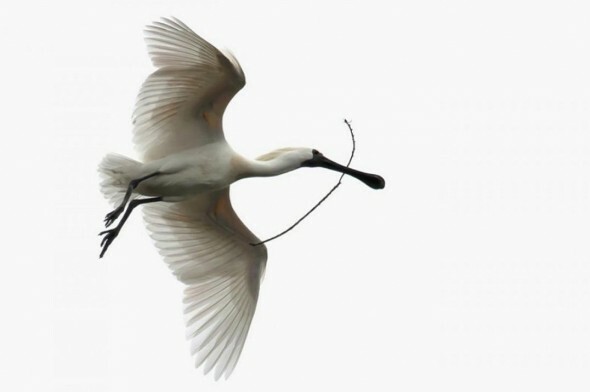 A very enjoyable piece – I’ve loved seeing Glenda Rees’ photos on BirdingNZ and Birds Online so its been most interesting to ‘hear’ her talking about her photography. Thanks Olwen! Glenda’s photos are brilliant – we’re really grateful that she’s contributing to NZ Birds Online.